Amsha Africa Foundation is determined to enhance the living standards and common good of people within some of the world's poorest villages and slums in Africa by reducing chronic social concerns such as hunger, disease, illiteracy,unemployment, substandard housing, and poor sanitation. Encourage and facilitate the initiation of community based projects that are acceptable, affordable, sustainable, and aimed at improving the welfare of the community. Small and micro enterprises development. Providing basic education and vocational training courses to young people from impoverished communities with an aim of developing their personality and talents. Promoting charitable projects for the disadvantaged victims of famine, floods, and other calamities. These charitable projects are aimed at rehabilitating the victims of disasters by providing them basic needs and teaching them different ways of earning a living in order to get back on their feet. Encouraging contribution and active involvement from members of the community, schools, churches, governments, corporations, etc, to carry out the work of poverty reduction in communities where destitute children are a norm and create awareness on the HIV/AIDS epidemic in order to promote behavioral changes among people living in the affected areas. 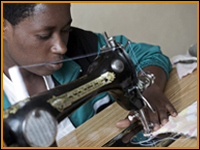 Promote the production of low-cost building materials, home crafts, and handcrafts. 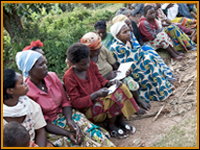 Train adults in modern farming techniques, health, environment, family planning, and assist them to acquire managerial skills, and provide information on starting small scale businesses. Provide grants for strengthening and expansion of microfinancing programs that empower the poor to lift themselves out of poverty with dignity through access to financial services and education.